“Is It True What They Say About Freemasonry?” That question was on my mind even before I saw a book with that title lying open on a table at the George Washington Masonic National Memorial. 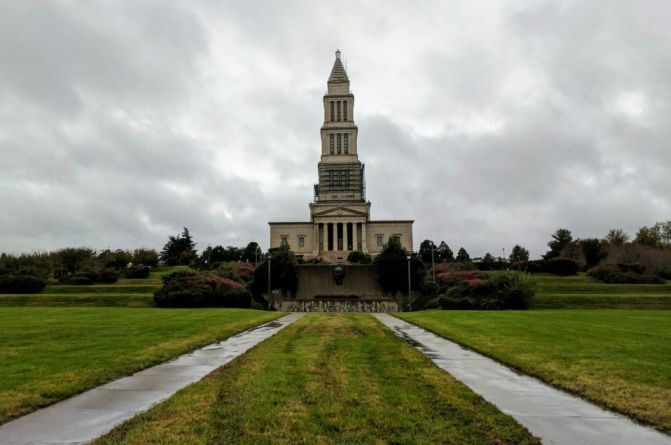 This lesser-known monument to Washington and museum of Freemason history is a modest tower in Alexandria — only 333 feet tall compared with the Washington Monument’s 555. It’s not that old — ground was broken for it in 1922 and it wasn’t completed until the 1970s — and, unlike D.C.’s many free attractions, the Masonic memorial costs $15 to visit, so I wasn’t surprised that I was the only person on the 9:30 a.m. tour one recent Monday. This sculpture portrays George Washington in his Freemason apron.